Dogs kept as breeding stock and then re-homed from puppy mills are more likely to have behaviour problems than other dogs. It's important to choose the source of puppies wisely. A puppy mill, or puppy farm, is a commercial breeding establishment that raises puppies for sale. Often the dogs are kept in very small enclosures and have limited interaction with people. Puppies from these sources often have health problems (because the parents haven’t been properly health-checked), and behavioural issues (because they haven’t been socialized to people, other dogs, or a home environment from an early age). In some cases, the conditions are squalid. A recent survey by the Dogs Trust in the UK found that almost 95% of dog-owners said they would not consider getting a dog from a puppy mill. Unfortunately, when asked where they had acquired their dog, 15% of them said the internet, an advert in the paper, or a pet store – all likely places to find puppies from puppy mills. Inadvertently, these dog owners had been supporting a practise they did not approve of. The Dogs Trust calls puppy mills ‘battery farms for dogs’, and you can read more about their campaign against them here. As well as affecting the health and welfare of the puppies, puppy farms are bad for the parent dogs. A study last year by Franklin McMillan is the first to look at the behaviour of dogs taken away from puppy farms and rehomed as pets. In the words of the authors, “this study provides the first quantitative evidence that the conditions prevailing in CBEs [commercial breeding establishments] are injurious to the mental health and welfare of dogs”. The study asked owners of dogs that had been re-homed from puppy mills to complete a questionnaire about their dog’s behaviour. 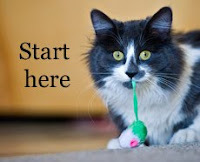 The questionnaire was the C-BARQ, a standardized questionnaire that is widely used to assess canine behaviour. On average, the dogs had been in their new homes for two years; 70% were female and the remainder were male stud dogs. Then, McMillan and colleagues matched these dogs with other dogs that were similar in age, breed, and gender, but had not come from puppy farms. This is important because it means that other factors that might affect behaviour have been controlled for, and a fair comparison can be drawn. After controlling for these other factors, they were left with 332 dogs that were re-homed from puppy mills. The dogs were acquired at five years old, on average, and included 50 different breeds. They compared the C-BARQ results for these dogs to those of the comparison dogs. The first thing to note is that the dogs from puppy farms were significantly more likely to have health problems, and significantly more likely to have behavioural problems. 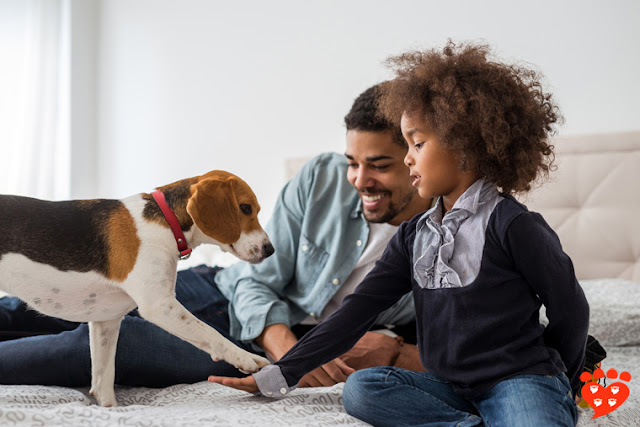 In particular, they were significantly more likely to show behaviours such as fear towards other dogs or strangers, compulsive behaviours, to urinate or defecate inappropriately, and to be sensitive to touch. In general terms, the dogs were showing signs of fear, long after they had been re-homed to their adoptive families. The authors suggest three possible reasons for this. It could be due to the stress of living in a confined kennel for long periods of time; it could be due to lack of socialization during the first four months of their lives, a time that is known to be important for socializing puppies to dogs, people, and the kinds of things they will encounter during normal life. Another potential reason is stress of the mother affecting them during fetal development, since they are likely to have been born in similar (if not the same) puppy mill. Does this mean that you shouldn’t adopt a dog that is being re-homed from a puppy mill? McMillan says this isn’t the case; with patience and behavioural therapy, many of the dogs were able to overcome their fears and make loving family pets. It is, however, another reason not to buy a puppy from a puppy mill; now we know that puppy mills are not just bad for the puppies, but also for their parents. 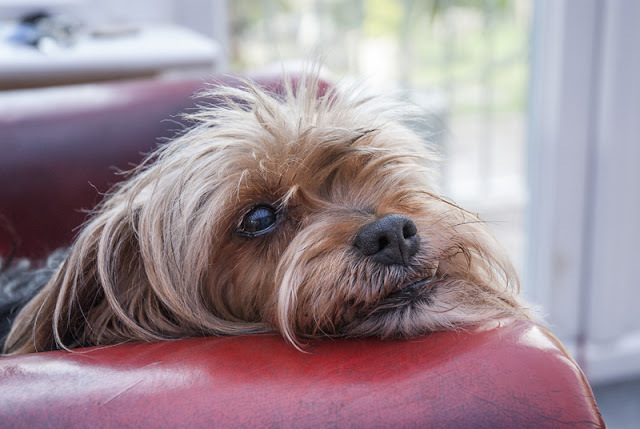 Remember that potential owners don’t visit the puppy farm; instead they are attracted by internet or newspaper advertisements, or find the puppy in a pet store. So if you are looking for a puppy, do your research and find a good breeder, or adopt one from a good rescue. 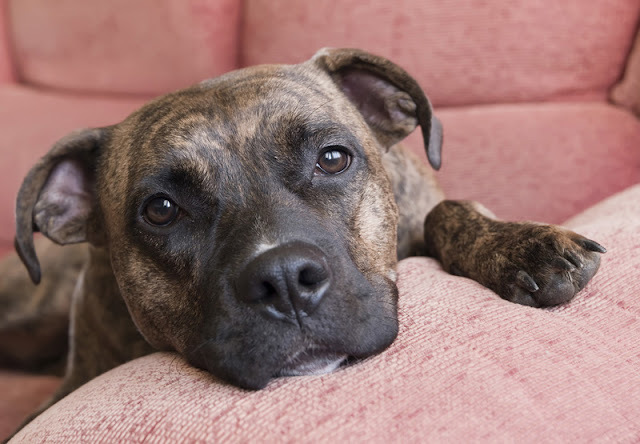 If you have a fearful dog, see eight tips to help fearful dogs feel safe. What do you think? 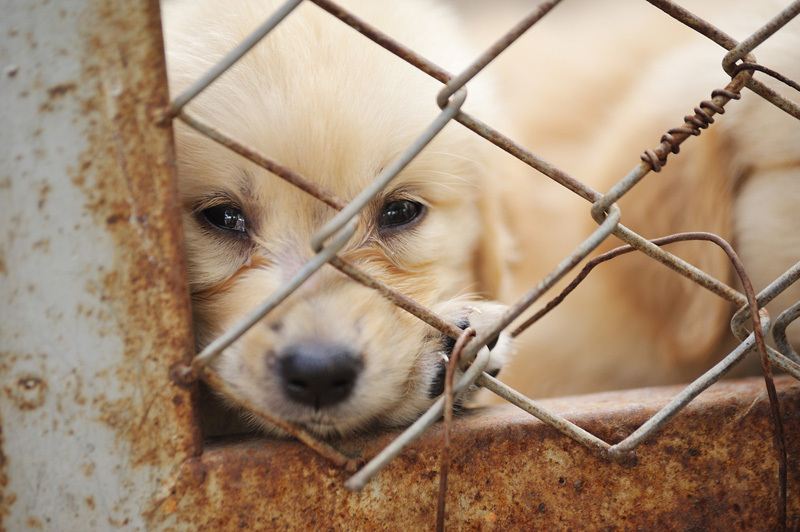 Do you support campaigns against puppy mills? Have you rehomed a dog that was previously used for breeding purposes at a commercial breeding establishment? Will a Dog Comfort a Crying Stranger?